RIYADH: The Presidency of Metrology and Environment has signed eight contracts worth SR700 million to rehabilitate areas in the Kingdom affected by the 1991 Gulf War. The rehabilitation program is partly funded by the United Nations, which gave $45 million (about SR170 million). 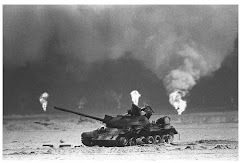 The Gulf War between Iraq and Kuwait and its Western allies was one of the most environmentally devastating wars ever fought. Iraq dumped approximately 1 million tons of crude oil into the Arabian Gulf, thereby causing the largest oil spill in history. Crude oil was also spilled into the desert, forming oil lakes covering 50 square kilometers. 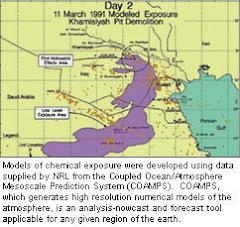 Iraqi troops of the old regime also ignited Kuwaiti oil sources, releasing half a ton of air pollutants into the atmosphere. Environmental problems caused by the oil fires include smog formation and acid rain. The compensation was paid to countries affected by the Gulf War from the Iraqi government's financial account through the United Nations Compensation Commission. The UNCC was created in 1991 as a subsidiary organ of the UN Security Council. Its mandate is to process claims and pay compensation for losses and damage suffered as a direct result of Iraq's unlawful invasion and occupation of Kuwait. The process took a while, PME spokesperson Hussein Al-Qahtani said, as claims from the countries affected were evaluated, followed by an evaluation of the damage and its cost before compensation was paid. The Saudi government, Al-Qahtani confirms, is now working to sign contracts with a number of international companies to rehabilitate the environment and damaged areas under the supervision of the UN. Al-Qahtani stressed that out of care for the environment and the general health of the area, the GCC ministerial environment committee took a strong stand for declaring the region a nuclear free zone. Al-Qahtani also pointed out that the Kingdom is taking steps towards protecting the environment, represented in the signing of The Basel Convention on the Control of Transboundary Movements of Hazardous Wastes and Their Disposal. Although the Kingdom is encouraging recycling and reaching agreements with international companies to safely dispose of hazardous wastes from hospitals, the spokesman said it is the responsibility of the private sector to provide recycling containers. "The government is encouraging factories to recycle materials, such as car tires, used oil as well as glass," said Al-Qahtani, adding that it is not the role of the government bodies to drive recycling, but to encourage and monitor. "It is after all an area where private companies benefit the most."